Like Joan, we don’t recommend wire hangers, but will help you work with them if you’d like because we want to make sure the tools work for you. The Organizing Agency designs custom closets tailored to your lifestyle, your wardrobe and your budget. Because you begin and end each day in this space, its functionality and design is just as important as that of your kitchen or bedroom. 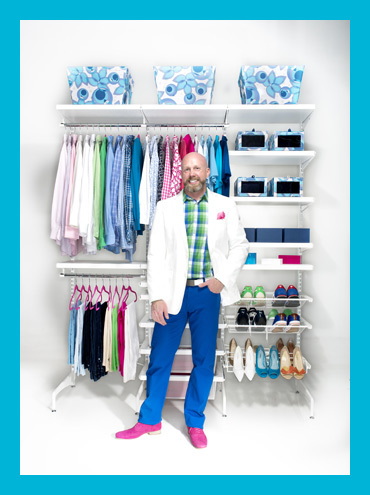 If you’re looking for clean-cut maintenance, consider our closet organizing service that’s customized for each client. You’ll find what you need in your closet when you need it, and discover new variety in your existing wardrobe when you can see what you already own. As with all of our services, we begin with a plan. We review your space and how you currently store your wardrobe. We assess and determine the current pitfalls of your closet, and we gain a complete understanding of your goals. The majority of our clients benefit from our wardrobe edit service prior to organizing and redesigning their closets. System Design: What’s For You? We figure out the system that’s right for you. We’ve designed hundreds of closets over the years and occasionally, when appropriate we partner with top architecture and design experts. We can appoint luxury European systems like Molteni&C and Poliform or work with local closet makers to implement high design aesthetics on a budget. You’ll choose the styles, veneers, colors, finishes and styles so your closet complements the rest of your home’s interior, and we’ll make sure the closet will be highly functional. Then, we appoint closet accessories that enhance your closet system, from matching hangers and jewelry cases to shelf dividers and gliding shelves. If this sounds too fancy, don’t worry. We are happy to accommodate any budget and work exclusively with a product that looks great and fits every price range. The last-minute fundraiser or dinner party invitation doesn’t have to create a frantic expedition into your closet. With our wardrobe cataloging service for our premier clients, you can easily and beautifully pair your favorite Dolce & Gabbana outfit with your new Valentino pumps. We create an online digital inventory of each item and accessory so you have a ‘cyber closet’ of what awaits you in your closet, additional storage, or at your second home. We also work with a partner company that offers climate-controlled storage for your off-season and infrequently worn garments. This luxury service features a luggage-free valet service option for when you travel so you arrive at your destination with your clothes already at your resort or residence in ready-to-wear condition.